This course prepares IT administrators and GIS leads to enable Web GIS workflows throughout their organizations. Participants will learn how to install and configure the four software components of a base ArcGIS Enterprise deployment; manage users, groups, and content permissions; and apply best practices to ensure system security and performance. 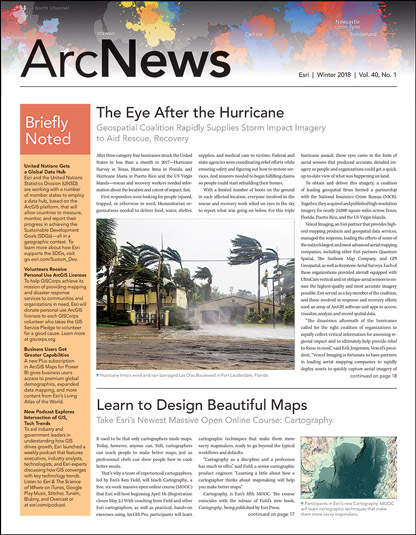 GIS maps and apps—and all the decisions based on them—require accurate data. This course is a deep dive into the geodatabase, the native data storage format for ArcGIS. Attendees will learn how to configure key geodatabase features that ensure their organization’s data integrity and accuracy over time and will leave with a thorough understanding of file and enterprise geodatabase capabilities. Designed for those who are brand new to GIS and ArcGIS, this course provides the context and practice needed to start visualizing data and understanding the impact of location. Partici-pants will work with ArcGIS Online to discover, use, create, and share maps, apps, and other geospatial resources. E-Learning Spotlight: Story Maps, Tutorials, and Videos—Oh, My! 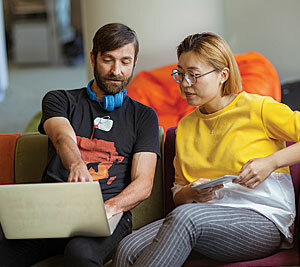 The Esri Training catalog is the central online location for discovering hundreds of GIS and ArcGIS learning resources put together by Esri subject matter experts. While training seminars and web courses are well-known and popular e-Learning formats, the catalog includes additional formats to support diverse learning styles and preferences. Educational story maps, tutorials, and videos, for example, guide learners through an astonishing breadth of ArcGIS tasks and workflows. Ranging in length from one minute to a couple of hours, these resources are invaluable for project support and are fun options to take advantage of to build new skills. Esri users with current maintenance subscriptions have unlimited, organization-wide access to all e-Learning resources in the Esri Training catalog. Explore the entire e-Learning collection. People who have achieved their Esri Technical Certification now have a new way to promote their achievement: sharing their story on the Esri Training website. The Technical Certification team is collecting and sharing stories of how certified individuals have applied their validated expertise with Esri technology to add value to their organizations and pursue professional aspirations. Certified users can upload an image of themselves and tell their story using an online form. Published success stories complement résumés and portfolios and can be easily shared on social media. View some recent certification success stories.